The author selected Software in the Public Interest Inc to receive a donation as part of the Write for DOnations program. Symfony is an open-source PHP framework with an elegant structure and a reputation for being a suitable framework to kick-start any project irrespective of its size. As a set of reusable components, its flexibility, architecture, and high performance make it a top choice for building a highly complex enterprise application. In this tutorial, you will deploy an existing, standard Symfony 4 application to production with a LEMP stack (Nginx, MySQL, and PHP) on Ubuntu 18.04, which will help you get started configuring the server and the structure of the framework. Nginx is a popular open-source, high-performance HTTP server with additional features including reverse proxy support. It has a good reputation and hosts some of the largest and highest traffic sites on the internet. If you choose to deploy your own Symfony application instead, you might have to implement extra steps depending on the existing structure of your application. By following the instructions in the Prerequisites, you now have all the basic server dependencies required for the application installation. As every dynamic web application requires a database, you will create a user and properly configure a database for the application in this section. Enter the appropriate password, which should be the same password used when running mysql_secure_installation. You have successfully created your application database. You can now create a MySQL user and grant them access to the newly created database. Currently, the user blog-admin does not have the right permission over the application database. In fact, even if blog-admin tries to log-in with their password, they will not be able to reach the MySQL shell. You have successfully created a database, a user for the demo application, and granted the newly created user the right privileges to access the database. You are now ready to set up the demo application. 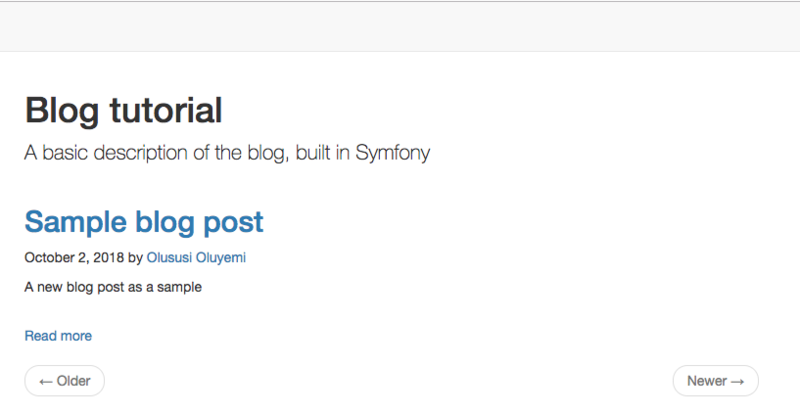 To keep this tutorial simple, you will deploy a blog application built with Symfony. This application will allow an authenticated user to create a blog post and store it in the database. 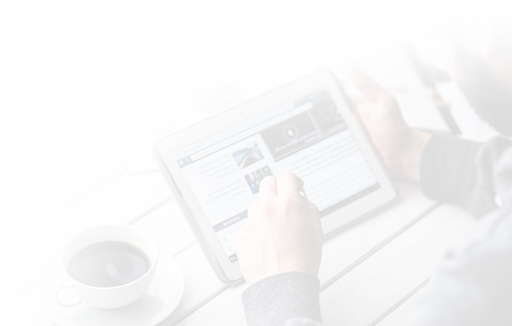 In addition, the application user can view all the posts and details associated with an author. The source code of the blog application you will deploy in this tutorial is on GitHub. You will use Git to pull the source code of the application from GitHub and save it in a new directory. Replace sammy with your sudo non-root username. remote: Counting objects: 180, done. remote: Compressing objects: 100% (122/122), done. Receiving objects: 100% (180/180), 167.01 KiB | 11.13 MiB/s, done. Resolving deltas: 100% (57/57), done. The demo application is now set. In the next step, you will configure the environment variables and install the required dependencies for the project. To completely set up the application, you need to install the project dependencies and properly configure the application parameters. By default, the Symfony application runs in a development mode, which gives it a very detailed log for the purposes of debugging. This is not applicable to what you are doing in this tutorial, and not good practice for a production environment, as it can slow things down and create very large log files. APP_ENV is an environment variable that specifies that the application is in production, while APP_DEBUG is an environment variable that specifies if the application should run in debug mode or not. You have set it to false for now. You have successfully configured the environment variables and installed the required dependencies for the project. Next, you will set up the database credentials. In order to retrieve data from the application’s database you created earlier, you will need to set up and configure the required database credentials from within the Symfony application. The Symfony framework uses a third-party library called Doctrine to communicate with databases. Doctrine gives you useful tools to make interactions with databases easy and flexible. [OK] Database schema updated successfully! After setting up the required credentials and updating the database schema, you can now easily interact with the database. In order to start the application with some data, you will load a set of dummy data into the database in the next section. At the moment, the newly created tables are empty. You will populate it using doctrine-fixtures. Using Doctrine-Fixtures is not a prerequisite for Symfony applications, it is only used to provide dummy data for your application. In the next section you will clear and warm up you cache. [OK] Cache for the "prod" environment (debug=false) was successfully cleared. You will conclude the set up in a bit. All that remains is to configure the web server. You will do that in the next section. By now, you have Nginx installed to serve your pages and MySQL to store and manage your data. You will now configure the web server by creating a new application server block, instead of editing the default one. First, we specified the listen directives for Nginx, which is by default on port 80, and then set the server name to match requests for the server’s IP address. Next, we used the root directives to specify the document root for the project. The symfony-blog application is stored in /var/www/symfony-blog, but to comply with best practices, we set the web root to /var/www/symfony-blog/public as only the /public subdirectory should be exposed to the internet. Finally, we configured the location directive to handle PHP processing. After adding the content, save the file and exit the editor. Note: If you created the file example.com in the prerequisite article How To Install Linux, Nginx, MySQL, PHP (LEMP stack) on Ubuntu 18.04, remove it from the sites-enabled directory with sudo rm /etc/nginx/sites-enabled/example.com so it doesn't conflict with this new file. You just concluded the last step required to successfully deploy the Symfony 4 application. You configured the web server by creating a server block and properly set the web root in order to make the web application accessible. Symfony is a feature-rich PHP framework with an architecture that makes web development fun for the developer who builds software using it. Symfony is a feature-rich web development framework that provides developers powerful tools to build web applications. It's often considered a good choice for enterprise applications due to its flexibility. The steps to deploy a typical Symfony application vary—depending on the setup, complexity, and the requirements of the application. In this tutorial, you manually deployed a Symfony 4 application to production on an Ubuntu 18.04 server running LEMP. You can now apply this knowledge to deploying your own Symfony applications.